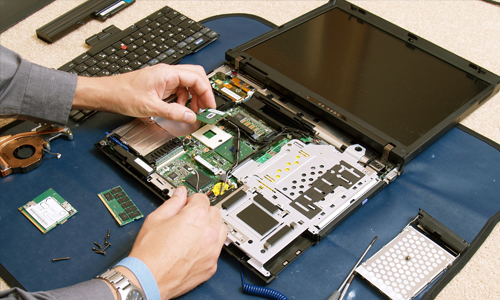 Laptop Data Recov­ery — Not impossible, we can recover lost, deleted or dam­aged data! Laptop Pass­word Recovery / Reset - For­gotten your password? Laptop Overheating Issues - You may need a fan clean or replacement! Lap­top Hinge Repair — If we can get the parts, we can fix it! Laptop DC Jack / Socket Repair — Not Charging? Lap­top Key­board Repair — Miss­ing keys? New Keyboard? Lap­top Charger Replace­ment — Most models in stock! Lap­top Upgrades — Add a bigger hard drive, increase memory! Laptop Wire­less Net­works — Can't get on the internet? We can help! Please give us a call on 01902 304 804 for free advice! PC Operating System Pass­word Recovery / Reset - For­gotten your password? Computer Upgrades — Add a bigger hard drive, increase memory! PC Data Recov­ery — Not impossible, we can recover lost, deleted or dam­aged data! PC Overheating Issues - You may need your CPU heat sink and fan cleaning or replacing! PC Wire­less Net­works — Not connected wirelessly, 3G / USB Adaptors available! PC Screen Power Socket Repair — No power to your screen? Computer Power Supply Issue - No power? Possible PSU replacement! PC Key­board and Mouse Problems — New USB and PS2 Keyboards and Mice available! PC Remote Administration - Require remote assistance? We can help! Computer Gaming Graphics - Upgrade your Graphics card to play the latest games!